If you weren't at Sky Bar on Wednesday for the summer solstice party, you missed out on a good time. 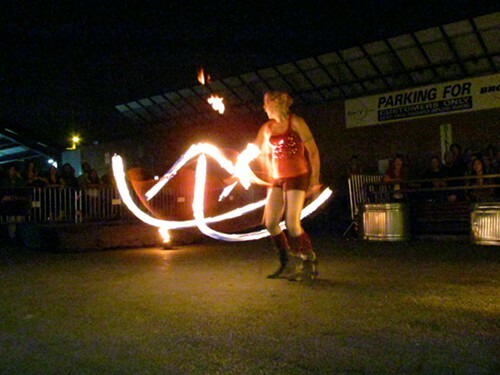 There was a comedic juggling act, daring acrobatic routines, hula-hooping like you've never seen before and fire dancing. The Bennu, a local jazz-funk band, and other musicians also celebrated the longest day of the year by rocking out at the astronomy-themed bar on Fourth Avenue. More photos from the event, below the cut.